Without question, the LG G Watch R is arguably the champ in the Android Wear smartwatch space – thanks in part to its sophisticated look and awesome display. In just a short time, however, they're able to quickly push out a newer, but similar model, that's more refined in every facet. 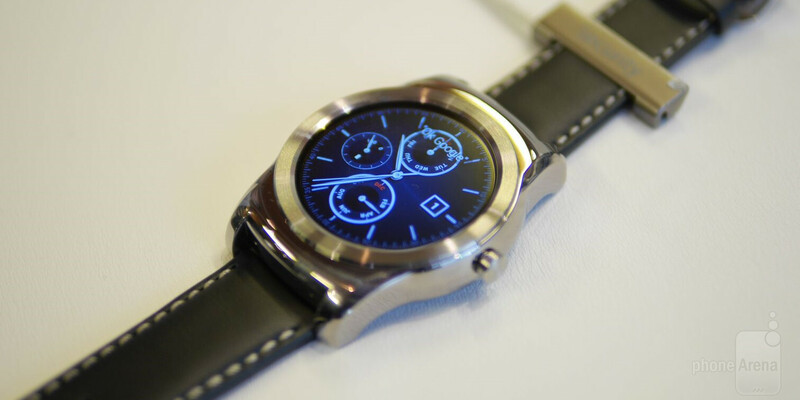 Enter the LG Watch Urbane, a sophisticated looking variant of LG's popular current smartwatch. Undeniably flaunting the same design style of the LG G Watch R before it, the LG Watch Urbane crosses into the premium territory with its metal casing, which is available in gold and silver. Naturally, there's no hiding the fact that it's a luxurious looking thing – a quality missed by many Android Wear smartwatches. The strap, too, is refined because it's leather stitched. In our time checking out the LG Watch Urbane, we can't help but to ogle over its premium aesthetics – though, its size might still be too large for some to like enough to use, despite LG trimming off some of the fat. As for the display, LG doesn't change up anything because they already have a banging looking screen on its current smartwatch, so it's the same 1.3-inch 320 x 320 POLED display. It's still impressively sharp, incredibly visible, and recessed to prevent it from coming into direct contact with surfaces. The internal hardware as well is pretty much unchanged, as it features a heart rate sensor, 1.2GHz Qualcomm Snapdragon 400 processor, 512MB of RAM, 4GB of internal storage, 410 mAh battery, gyro, accelerometer, compass, barometer, and Bluetooth 4.0. On top of that, its water and dust resistance rating is the same – so you can use it for workouts, and to an extent, in the rain as well. All told, this is one gorgeous looking Android Wear smartwatch we wouldn't mind wearing on our wrists – it's just so elegant and lovely as it hugs close to us. For all of its good looks and premium qualities, the only question that remains is its pricing and availability. LG had yet to provide details on that, but we hope that the pricing isn't going to be too obnoxious.